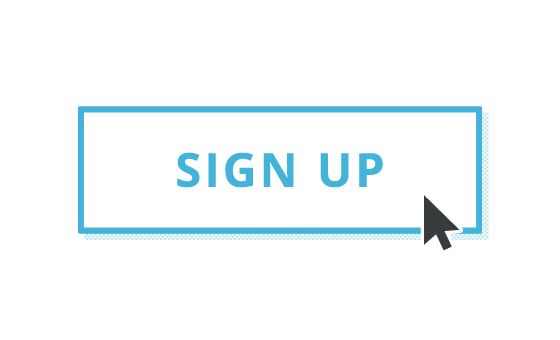 It is difficult to keep up with the ebb and flow of ski technology year after year. After years of insanely fat skis and absurd rocker profiles, ski manufacturers are toning things down so that your typical skier will find more utility out of their skis. This means blending rocker and camber into most skis and bring down the waist width to keep skis more nimble and responsive when transitioning from soft to hard snow. 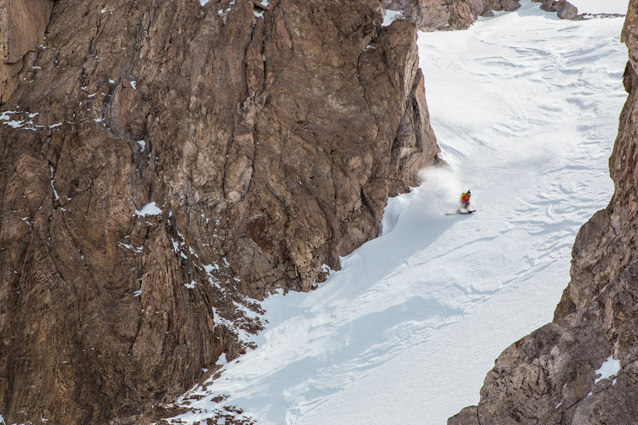 We would all like to ski powder all the time, but unfortunately that is not the reality we live in and ski companies are taking that into account with their designs. 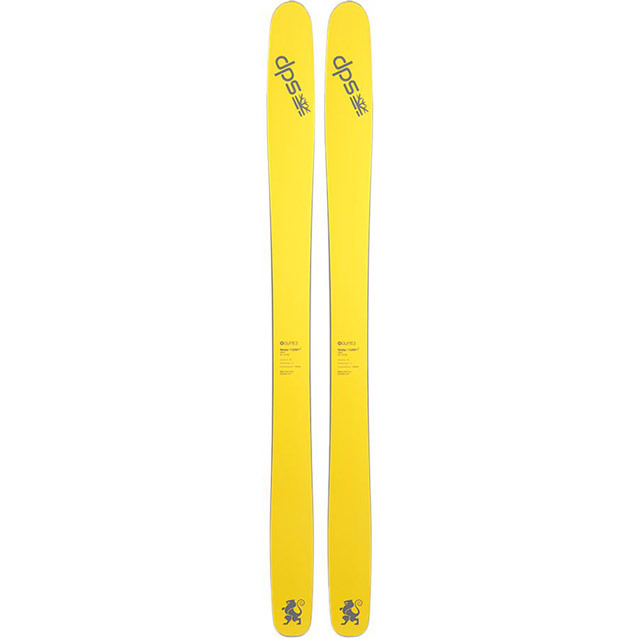 Most skis this year are good at most things and great at one. We'll help you understand what the right ski is for your skiing style. Camber – Camber refers to way the base of the ski comes in contact with the snow. Traditional camber skis are convex, forming a bouncy suction cup under your foot, while reverse camber skis (AKA rocker skis) are concave and behave more like the rails of a rocking chair. This construction is best for pure powder days, while traditional camber favors hardpack and variable conditions. 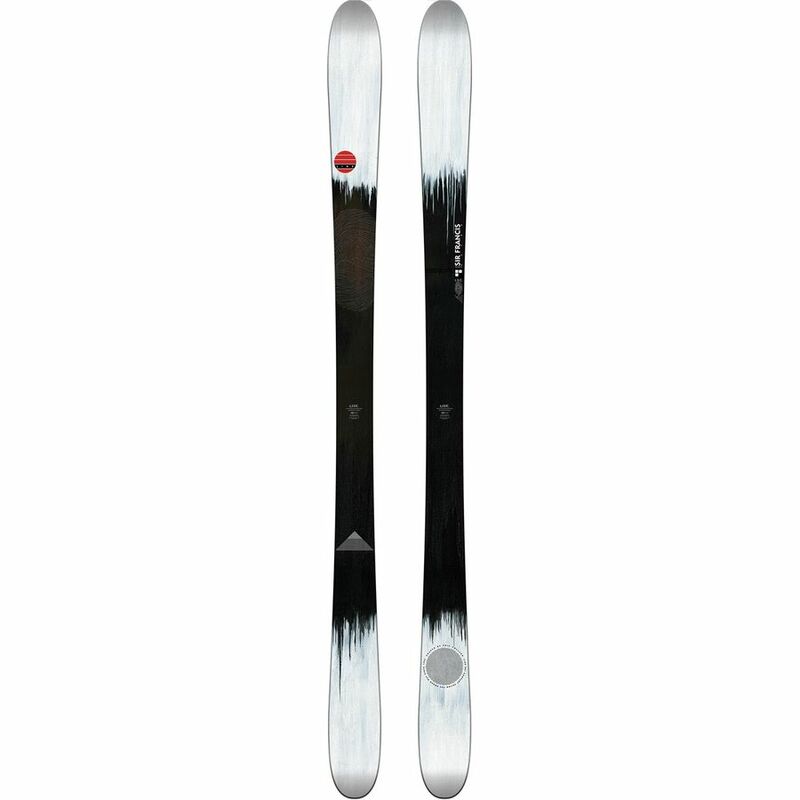 Rocker – Though rocker often refers to the aforementioned “reverse camber” profile of a ski, it can also refer to subtle curvatures, namely the slight upward bend in tips and tails, which keep skis from “diving” under the snow. When a ski is subtly or partially rockered, it’s sometimes called early rise. Rocker makes it easy to float through powder and crud, but it also reduces a ski’s effective contact length for carving, so if you’re getting a really rockered ski, consider sizing up. 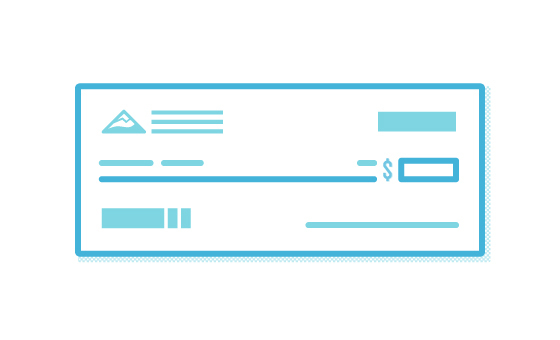 Sidecut – Time to get technical. 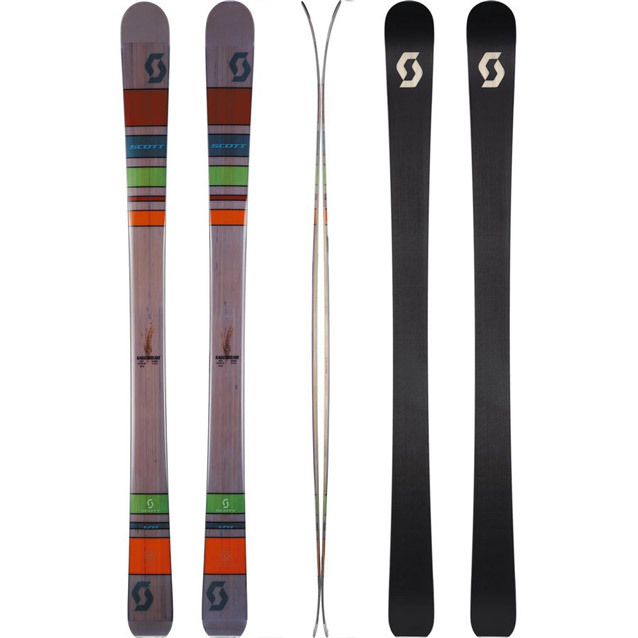 Sidecut accounts for the difference in width between the tip of the ski, the waist and the tail. It’s responsible for a ski’s turning radius; the greater the difference in widths, the deeper the sidecut, the sharper your turns will be. The width underfoot is also important to pay attention to if you’re looking for a powder ski (obviously, fat skis float better). 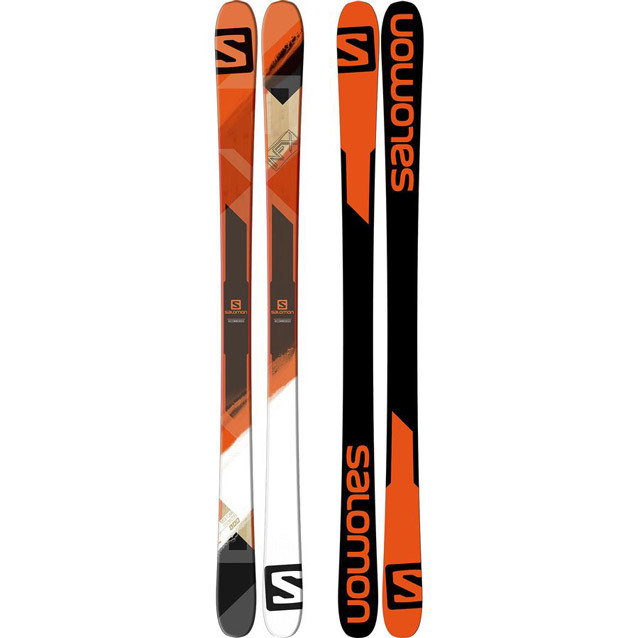 The Best Ski for You? That’d be the ski that puts a smile on your face. We all want something that’s stable at speed, floaty in powder and nimble in tight spots— but the reality is that every ski has a strong suit, and every skier has a preference. Think about where you ski the most. Do you seek out squirrely tree lines? What about couloirs? Do you love bombing groomers? Maybe you want a ski that you can tour on all day. Every selection below was chosen because it suits a certain niche—read on and find one that speaks to you! The brainchild of freeskiing icon Eric Pollard, the Sir Francis Bacon is an all mountain slayer that will have you buttering everything in sight. The incredibly light new Cloud Core technology from Line had our tester say, “These are lighter than my park skis!” That’s saying something—considering these skis are 104mm underfoot. Camber combines with early rise in the tips and tails to make this ski equally at home in the hard pack as it is in deep snow. Our tester took the Bacons straight from sidecountry stashes to the park and was thoroughly impressed with the ski in both settings. Featuring a wood core strengthened with full carbon mesh and a titanium “backbone,” the Atomic Vantage provides a powerful, responsive ride. Reportedly about 15% lighter than predecessors, the new Vantage gives you a playful swing-weight without sacrificing stability. Full sidewalls add to the damp feel, though testers did report some tip chatter at speed. At 100mm underfoot and with an 18-meter turn radius, you’ll get decent float in pow and make easy turns on most terrain. Energy transfer is the name of the game with this ski, which promises to give back everything you can put into it. Best For: Tight, high-energy resort runs. The gold standard for laying trench, the beloved Mantra was re-imagined for 2015 to include full rocker and lighter tips and tails. 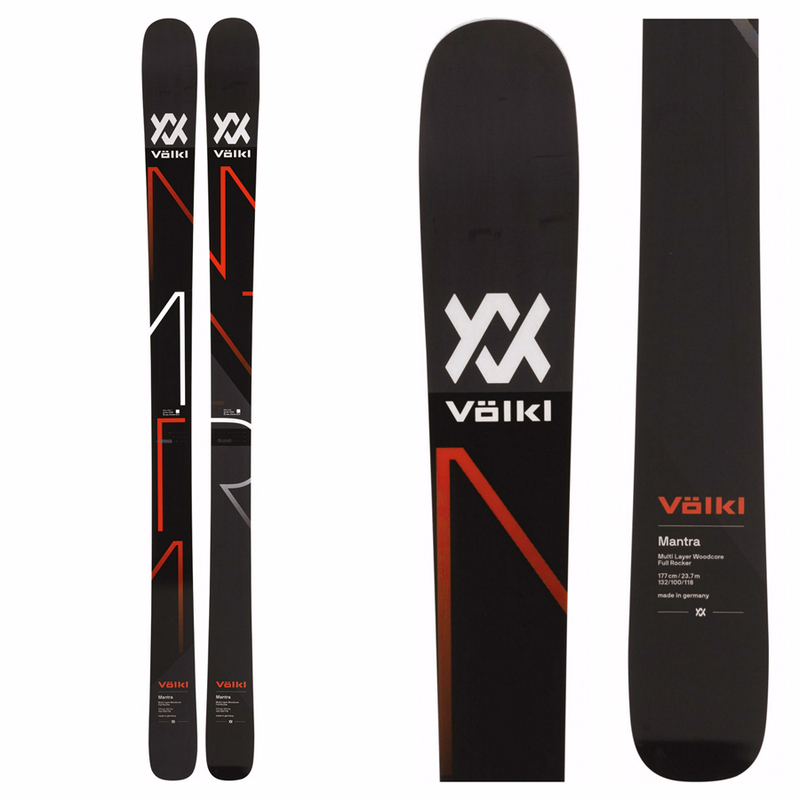 The result is a ski that embodied the high-speed stability Volkl stands for in a more versatile, powder-loving package. Multilayer wood core with a titanium sheet throughout means they’re light but damp. With 100mm underfoot and a 25m turning radius, these sticks are made for the frontside, but they’ll gladly take you into whatever terrain you’ve got a hankerin’ for. 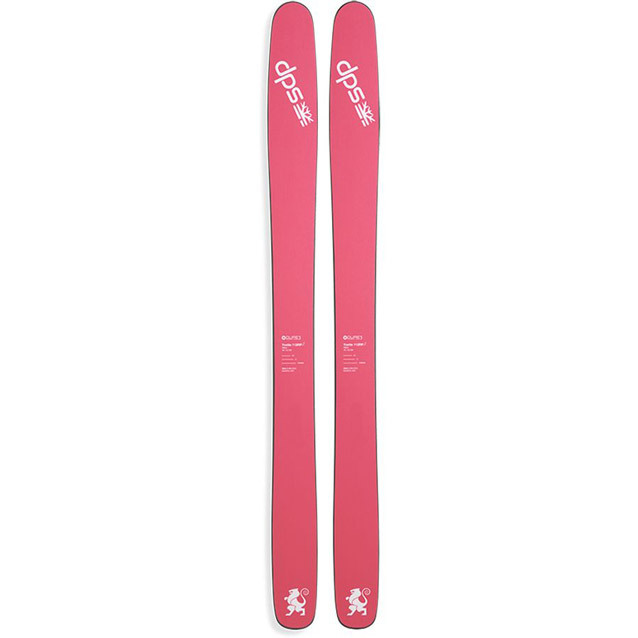 Best For: All mountain performance with a GS ski’s soul. A gorgeous ski and true All-Mountain Master, the Nomad from Colorado-based Icelantic has equal appetites for pow and hardpack. With tip and tail rocker and just a bit of camber, you get good edge hold and enough float to rise above the chunder. Add to that a lightweight build, a moderate 105mm underfoot and a versatile 19m turn radius, and you’ll be confident no matter the conditions. Best For: Exploring the mountain and pushing your limits. 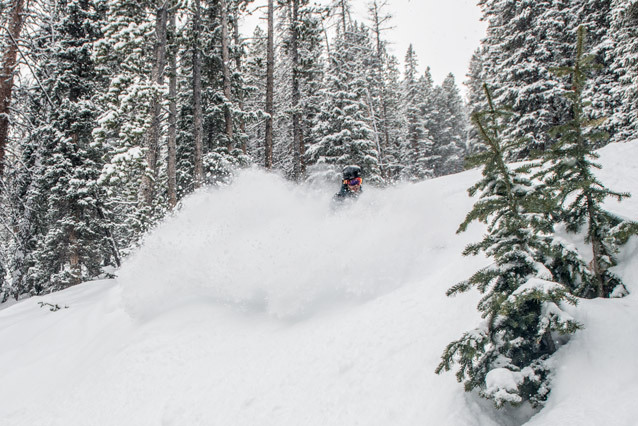 DPS has quickly become a household name in places where the snow is plentiful and the terrain is big. The Wailer 112RP2 PURE3 gets an even lighter carbon laminate for 2016, weighing in at just 8 lbs 1.1 oz per pair. Made for skinning up, the Wailer 112 also lets you charge the ride down, with a surfy feel in the pow and edging power on hardpack. The absurdly light weight can mean a bit of chatter in truly variable conditions, but for a backcountry ski, these up the ante on versatility. Best For: Getting up to get down. 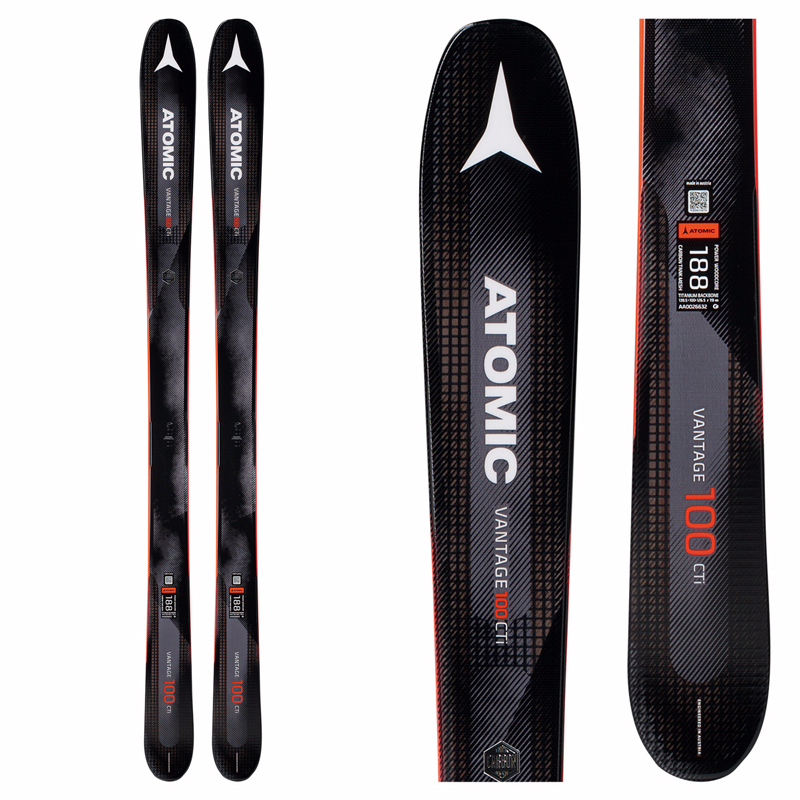 One of the most talked about skis in alpine touring, the Hokkaido is an aggressive big-mountain ski in a backcountry-oriented package. 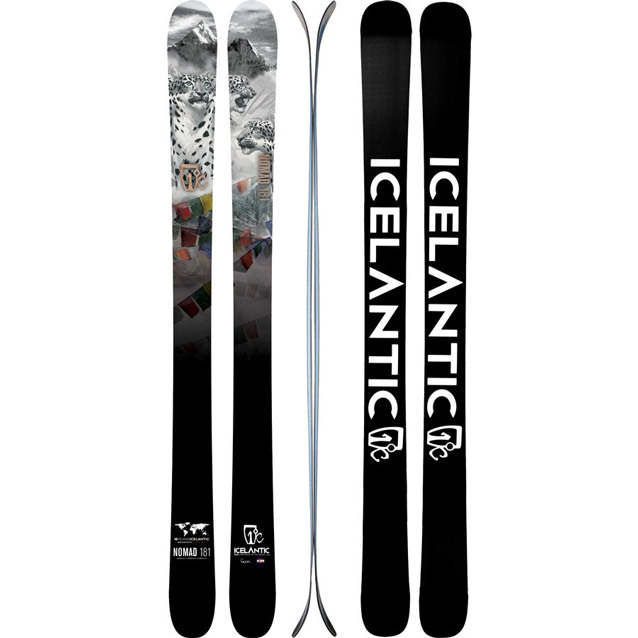 A bit straighter than most of the skis in this category, the Hokkaido features full sidewalls to reduce chatter and a Double Ellipse Rocker Profile, which is flat underfoot and rockered equally at the tip and tail. 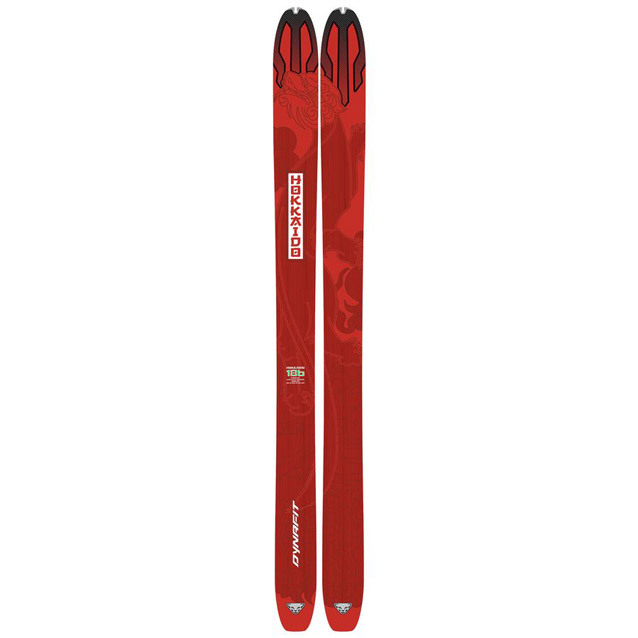 While not the lightest touring ski out there, the Hokkaido offers superior edging in steep terrain and a confidence-inspiring feel in variable snow. With 118mm underfoot with a 26m turn radius you’ll find a serious ski with a playful spirit, letting you surf every line you’ve got the quads to summit. 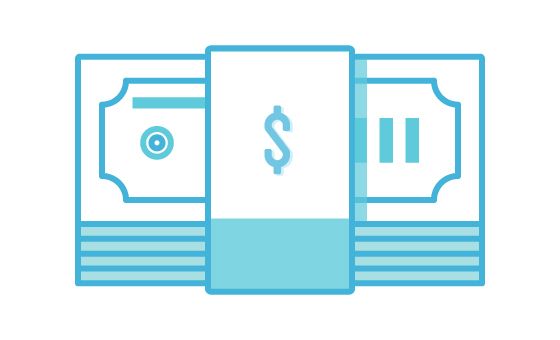 Best For: Skiing everything you can point your pole at. 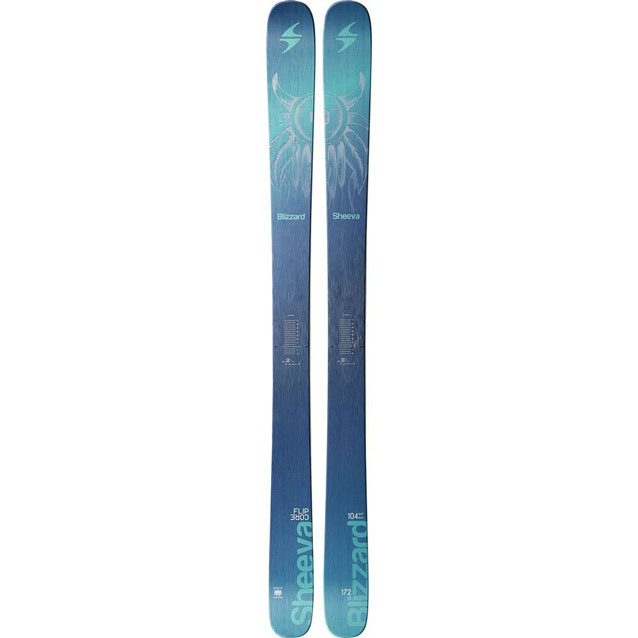 A versatile ski for any condition, the Sheeva is at home on the groomers and happy in variable snow. With 104 underfoot you’ll float through the mank, while the 17m turning radius lets you arc it when the terrain opens up. The secret to this ski’s playful nature is its snappy wood core, which features a lightweight combination of poplar, bamboo and paulownia. The rockered tip and tail with camber underfoot give you a stable, predictable turn no matter the conditions. Best For: Beating your boyfriend down the hill. Designed around the award-winning Wailer platform, the Yvette features an aspen core, full sidewalls and carbon fiber laminate to deliver a 30% lighter and torsionally stiffer ski than most you’ll find on the market. With 112mm waist and a 15-18m turning radius she’s nimble but floaty in the right conditions. The light weight does mean some tip-flap at high speed, but for the ride up and the overall versatility on the way down, it’s worth it. 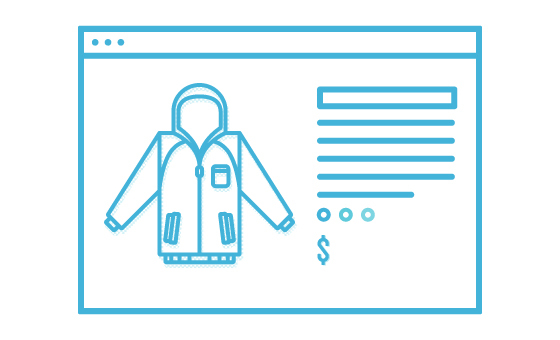 Best For: Ladies who dabble in the backcountry.